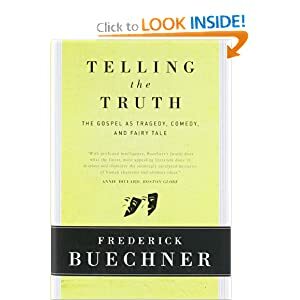 If you preach, teach, or are intrigued by the art of sharing the Gospel, Frederick Buechner’s book, “Telling the Truth: The Gospel as Tragedy, Comedy, and Fairy Tale” is a great book to pick up. Buechner has a unique voice in his writings, one that tends to root into your soul and take a seat, like an old friend, beside the deepest hopes, fears, and dreams that reside underneath our exterior layers. Through a link I was brought back to one of the quotes from that book, and I was reminded once again why it had meant so much to me when I read it. The joke of it is that often it is the preacher who as steward of the wildest mystery of them all is the one who hangs back, prudent, cautious, hopelessly mature and wise to the last when no less than Saint Paul tells him to be a fool for Christ’s sake, no less than Christ tells him to be a child for his own and the kingdom’s sake. Let the preacher tell the truth. . . . And finally let him preach this overwhelming of tragedy by comedy, of darkness by light, of the ordinary by the extraordinary, as the tale that is too good not to be true because to dismiss it as untrue is to dismiss along with it that “catch of the breath, that beat and lifting of the heart near to or even accompanied by tears,” which I believe is the deepest intuition of truth that we have. One of the most unforgettable lines from the entire book is found in this short selection: “the tale that is too good not to be true”. I fear that we as Christians are intimidated by theories and philosophies other than our own. They all seem to mount logical arguments that appear, at a glance, to be impenetrable bulwarks, high walls that could only be scaled by masters of warfare and ascent. And it is true there are many articulate and intelligent people of various worldviews and beliefs. But this is where Buechner’s expression is so powerful. Buechner captures one of the too rare, too quietly sung essences of the Gospel and of God’s kingdom movement, namely that the human heart is breathlessly searching for exactly what He did and is doing. This story of forgiveness, of pre-deserved (and truly undeserved) love, of new life that is predicated on the promise of an existence coming that will be the realization of all that life was supposed to be from the beginning – these elements make up the story that he is referring to. And while it may seem that this feels more like a myth than the theories and postulations of science and scholarship, the only thing that it actually tells us is that myths are far closer to actual reality than some theories of science in their stilted and wooden forms. Obviously I am not saying that the Gospel is a myth itself, but that those myths that draw our eyes and, more importantly, our hearts to the story of Jesus are far more true and helpful than a rigid theory that lays lifeless in a notebook on some erudite egghead’s gigantic desk. 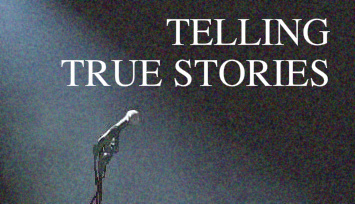 The story that Christianity tells is not too good to be true, it’s too good NOT to be true! This is the story that we had hoped for before we knew it existed, and it is the story that compels and captivates us forever more. It had to be true. Why else would we all be searching for hope? For love? For a second chance? For meaning? For acceptance? Friend, never shy away from that story. Never be intimidated by another ideology or philosophy. You, Christian, carry in your heart and mind the most authentic story of this age or any other. You have not only heard, but you have become a part of the story that the earth reels and rocks and groans and gasps to know the end of (Romans 8:19). For every poison-tipped arrow of hopelessness that the finite and impotent stories of our world fire into the air you – regardless of age or education or anything in your past – carry the antidote. The neutralizing and nourishing joy for those who would be impaled by that pointed shower of depression and sorrow rests in your heart, on your lips, and in your hands. This story is too good not to be true. Embrace it. Share it. Hope in it. Show love to those who need to know that it’s true.